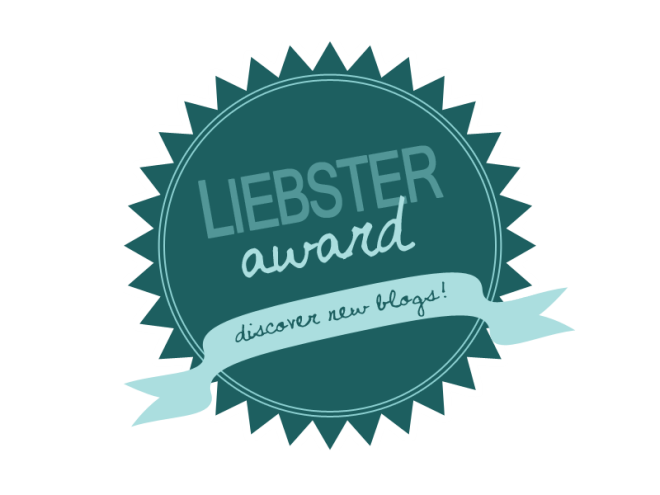 I’m pretty excited that I was nominated by FLRunnerBoy for a Liebster Award! So, let’s dig right in! 1) What encouraged you to start a blog? I actually started blogging when I first started running to share my running adventures and as a way to keep track of everything that I was experiencing. I was also blogging with friends for our running group’s blog, The Woo Hoo Crew. I enjoy writing about the good, the bad and the ugly of running from a recreational runner’s side of view. I love sharing a little bit about myself through my blog and learning much more from other bloggers. The connections that I’ve made by following other runners is encouraging and inspiring! 3) What is the meaning behind your blog name? 4) What is one thing you miss from your childhood? I would love to relive my junior high school years. Most people never want to return to one of the most awkward times of their lives, but I loved that time. It probably shaped a lot of why I love teaching Middle School. I found my love of running back then when I signed up to run track. I had really amazing friendships at that time and somehow lived in just enough of a bubble, that I came out loving that time. 5) Do you prefer coffee or tea? Coffee…with lots of flavored creamer. My husband laughs that I might need a bit more coffee with my creamer. I don’t care! I also love iced caramel coffees and I look forward to Fall every year just for the Salted Caramel Mocha coffee at Starbucks. That is about the only time I go there! 6) What is something that is an important part of your morning routine? I purposefully wake up at 5:30am every weekday morning so that I can enjoy a cup of coffee, the quiet, and to blog just a bit. It makes my whole day start off relaxed and well! 7) What is your favorite clothing item? Cara would probably tell you it’s my numerous tunic and legging outfits that I am attached to and she’s probably right! I do love them. My favorite clothing item is actually my Lenny and Eva bracelet. I know it’s not clothing, but I never go a day without wearing it and it’s a constant reminder of what it took to get to where I am. 8) What is your favorite season? Oh, this is a tough one… For running, Fall and Winter. For vacations and sunshine, Spring and Summer. 9) If you could take a weekend trip somewhere, where would it be? I have two places: San Antonio, TX and Boulder, CO I have never been to San Antonio, but I am strangely drawn to it. I have big ideas of what it’s like there. I chose Boulder because I have been there and it’s the perfect reset place for me. I wanna smell that mountain air! 10) Must have beauty product? My Rimmel Mascara. I never go anywhere without wearing mascara. So now it’s time to nominate others to take the challenge as well! ← Wordless Wednesday: Inspire Me! It’s the only way to drink it. Aww, thank you for the nomination! I love the meaning behind your blog name! I definitely wouldn’t want to relive my junior high school years, but I do miss college with my best friends all the time. ❤ It was definitely a super-hectic time with ups and downs, but I really miss it!